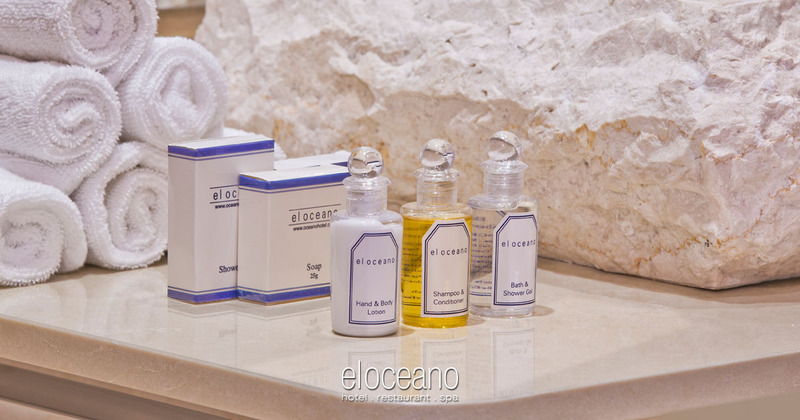 November Nights and Christmas at El Oceano. Already, we’re looking ahead to later in the year, as so many guests are keen to make sure their places in paradise are reserved, this November and December! November Nights, Christmas and New Year are special at El Oceano! It might seem a little early in the year to talk about about November and December (it isn’t even the high season yet! ), but we’ve had a number of guests enquiring about the incredible deal we offer in November, and many guests making sure their table is reserved for Christmas and New Year, 2018/19. If you’re the type who likes to plan ahead, we may just be talking to you!! November Nights. Incredible low-season room rates. Book your November Nights at El Oceano Hotel. A wonderful time of year, November on the Costa del Sol is warm and a little more quiet! 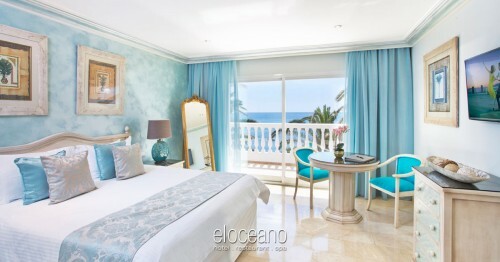 A great time to relax in luxury and explore the wonderful Mijas Costa! One of the more quiet times of the year, November is a wonderful time on the Costa del Sol. Winter hasn’t yet set in, the crowds have gone… and the low-season prices kick in! 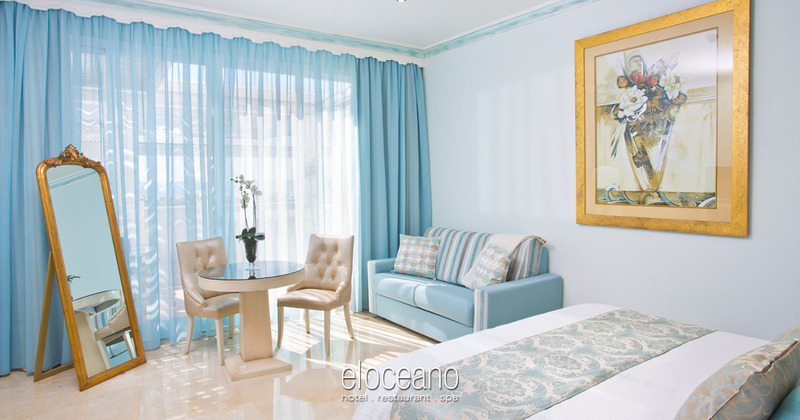 November is your opportunity to enjoy our hotel at an incredible price, with room rates from as little as 120€ in our Double Non-Sea View Rooms. Normally 175€ per night, the Double Non-Sea View Rooms are a real touch of luxury, right next to the Mediterranean Sea. Book you November holiday in paradise! 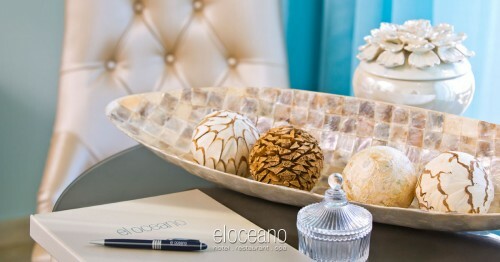 Possibly the busiest time of year, Christmas and New Year at El Oceano are very special!! Christmas & New Year on the water’s edge – if you’ve already booked! One of the busiest times of the year, Christmas and New Year always full up rather early. Christmas Day, New Year’s Eve Eve, New Year’s Eve and New Year’s Day are all now fully booked. For those who have already reserved, we will be offering two sittings on Christmas Eve and Christmas Day, early sitting at 1pm and evening sitting at 7.30pm. Prices are confirmed – Christmas Eve 2018, 60.00€ per person and Christmas Day, 95.00€ per person. 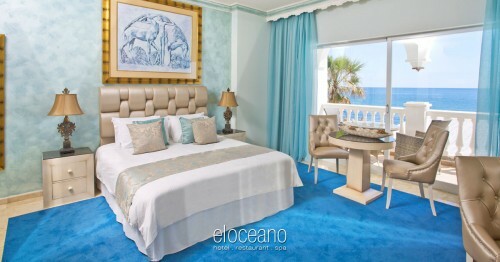 Is it time to book your Christmas at El Oceano?! Great! 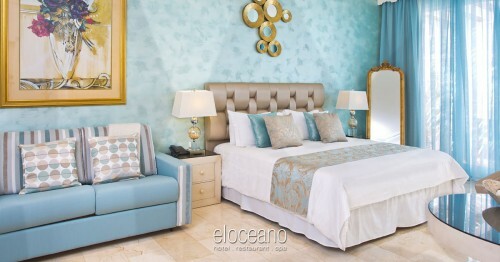 Book your luxury Christmas holiday at El Oceano!